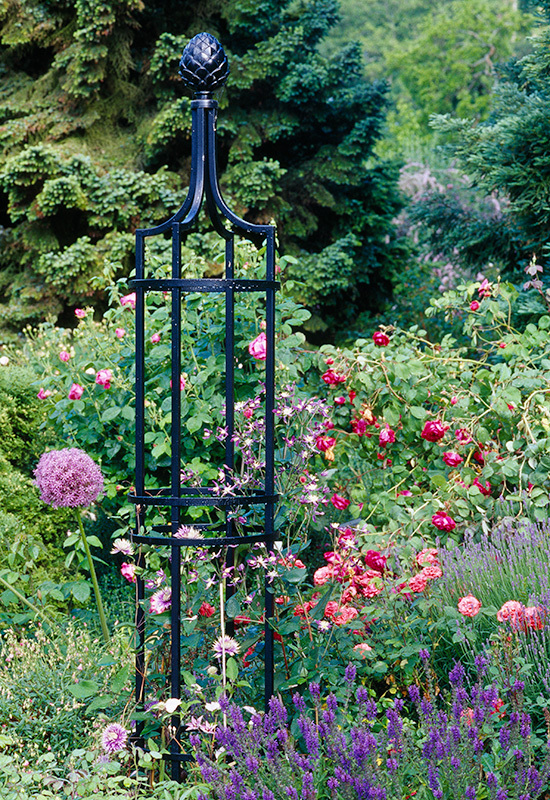 Vertical stakes made of 0.79” (2 cm) steel profile tubing, horizontal loops of 2 cm 0.79” (2 cm) steel band. 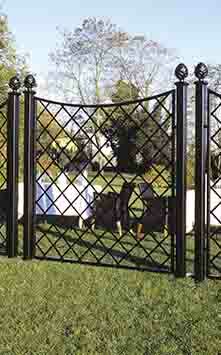 Hot-dip galvanized and powder coated in black. 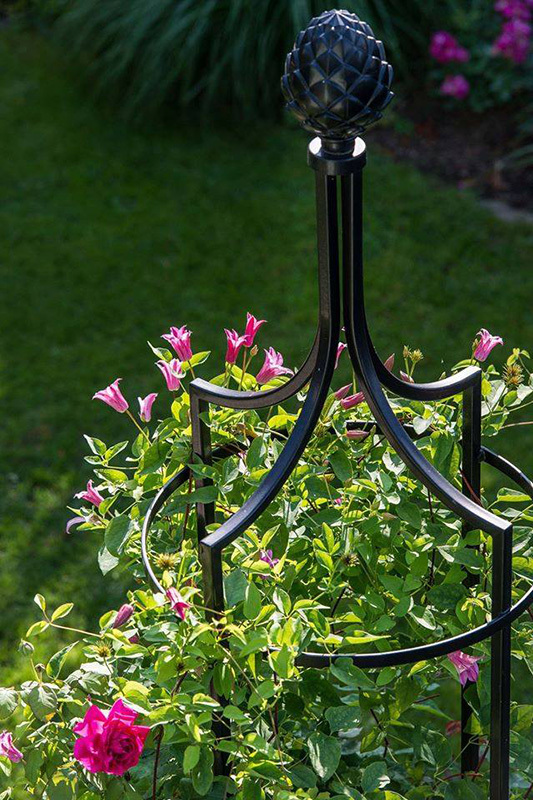 Pinecone finial aluminium hollow cast, powder coated in black. 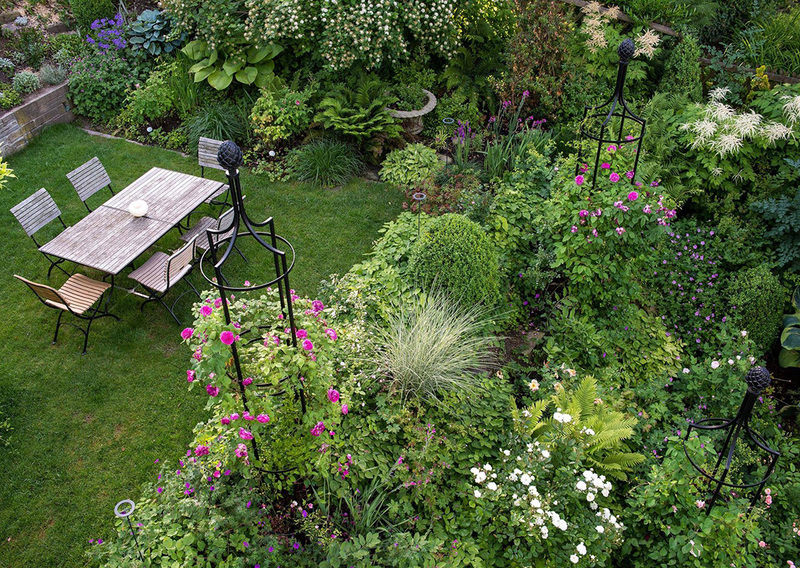 Recommended anchorage: directly in the soil without a concrete plug. 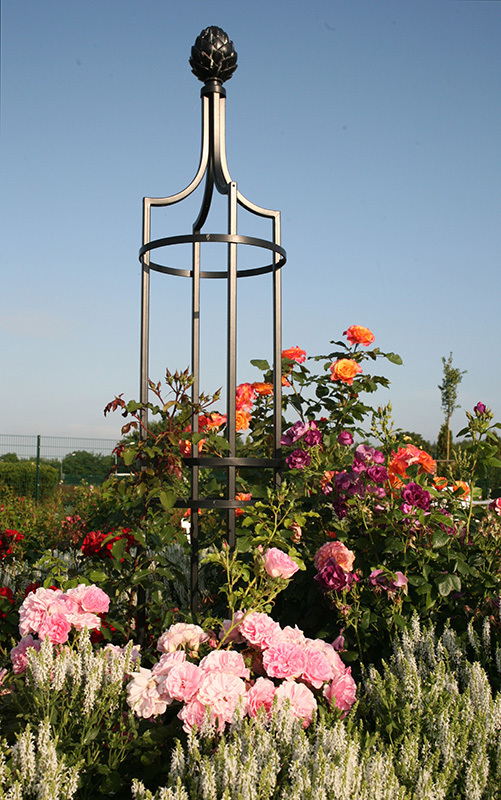 It is delivered in two large, completely welded parts. 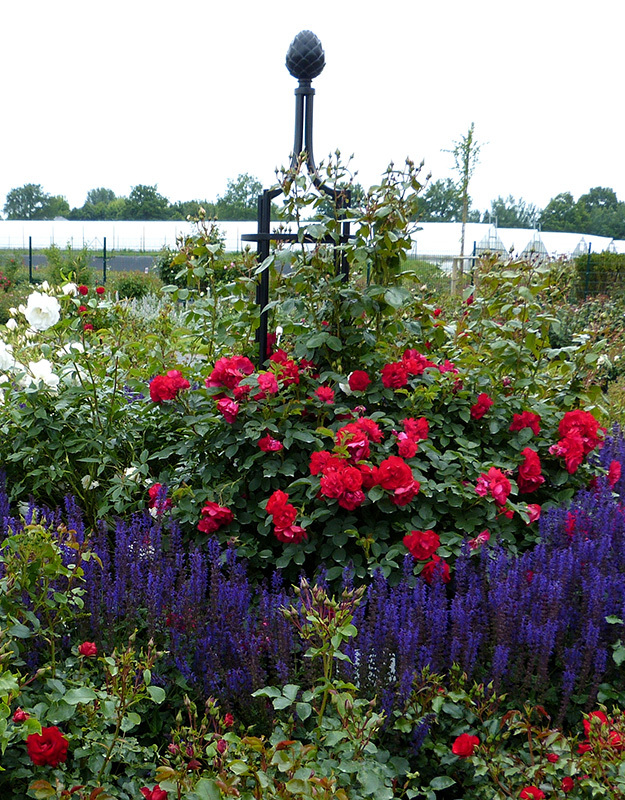 Other colours on request. 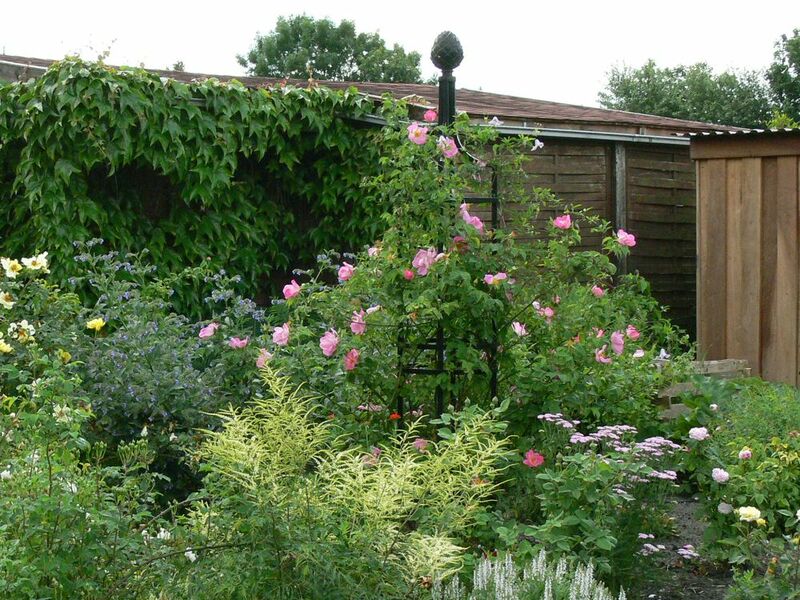 10 years guarantee against rust. 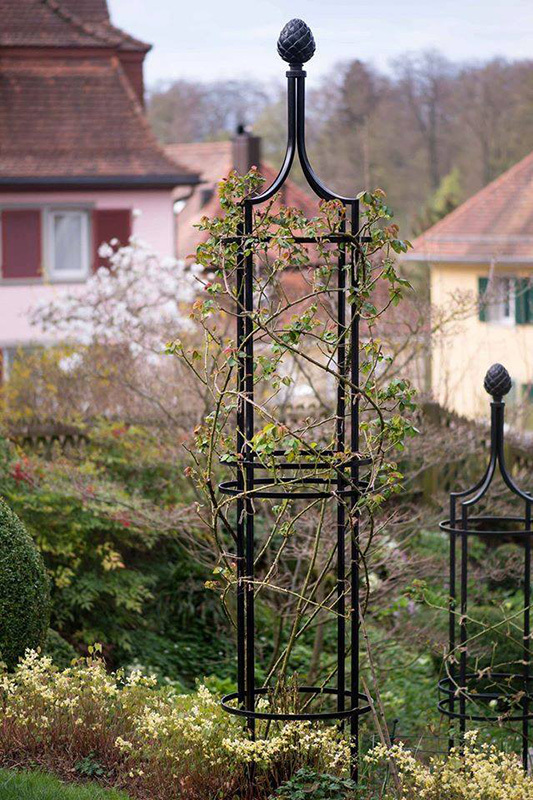 A sturdy, truly classic support frame that makes even smaller gardens seem loftier and structured. 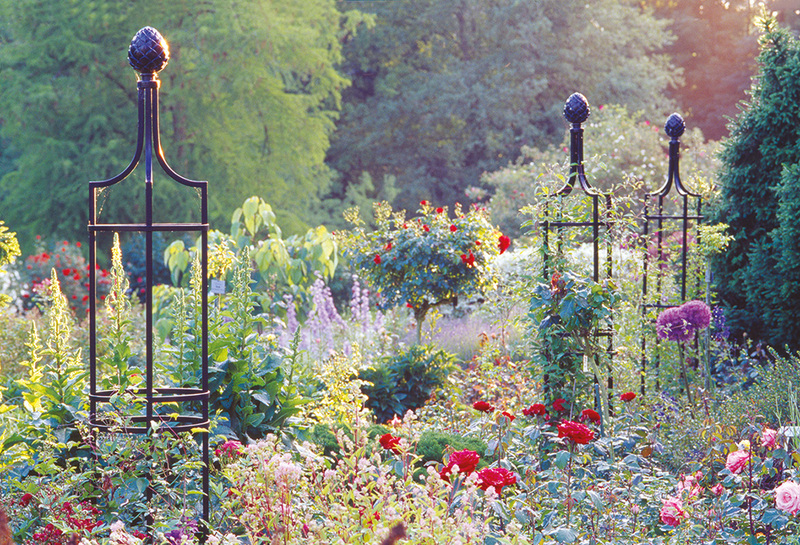 Whether as solitaires, or in pairs or groups, these distinctive obelisks create charming vistas, transforming less remarkable corners of a garden into reveries of fragrance and colour. 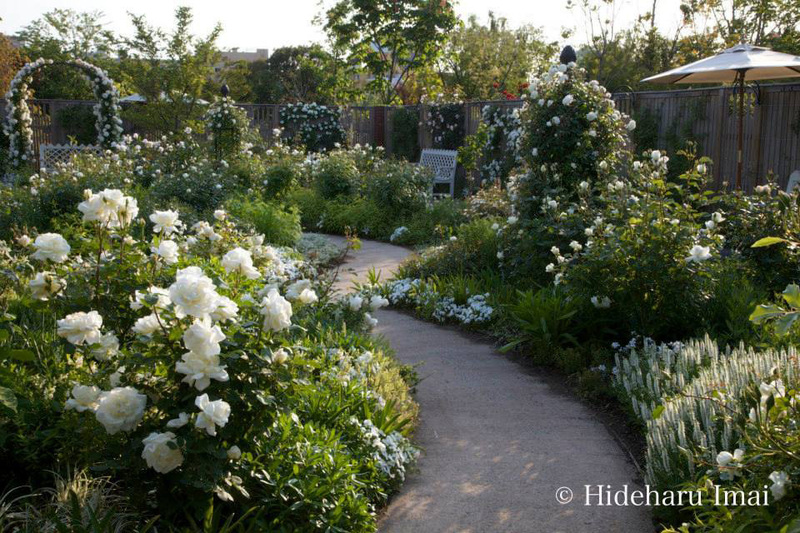 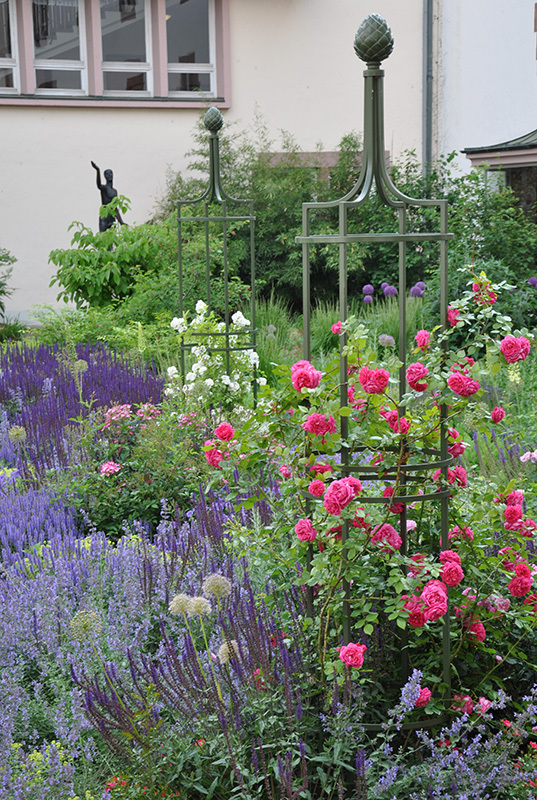 Installing two obelisks, each on either side of a garden path, is an attractive alternative to the classic Rose Arch. 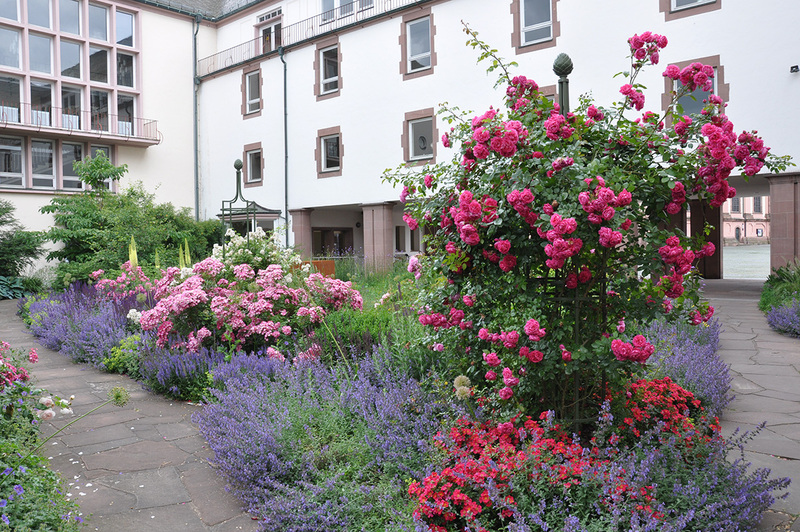 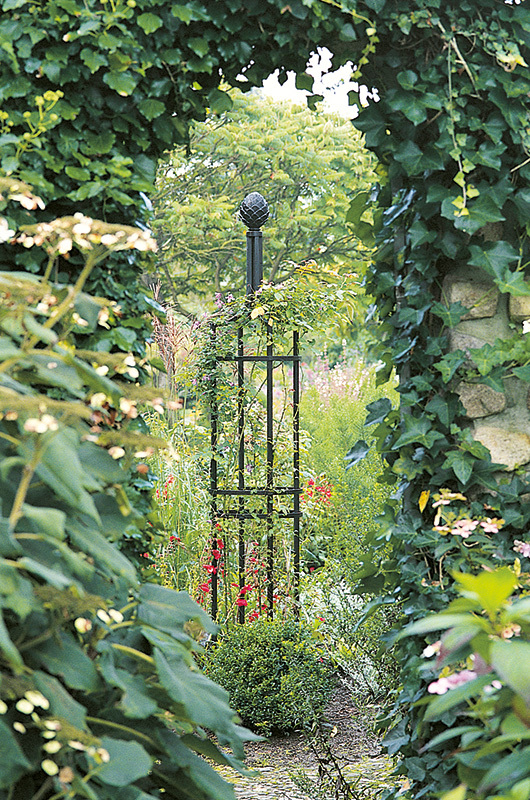 Gardens need decorative elements to capture attention and provide orientation. 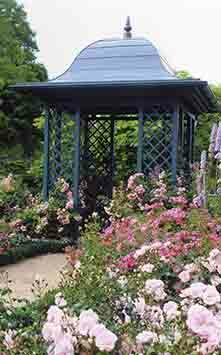 As with any eye-catching structure of this height, it is important to choose a good strategic location. 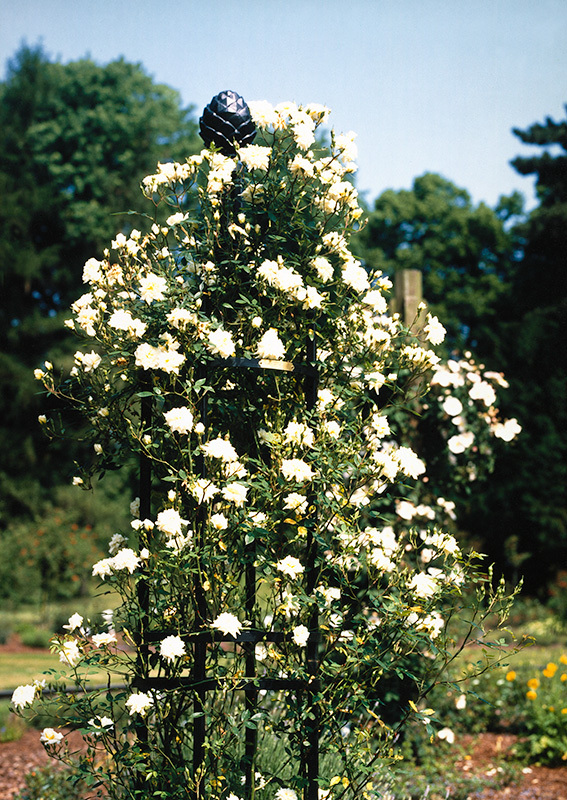 In summer, under the opulent embrace of roses, clematis, woodbine or other climbing plants, the robust metal obelisk recedes from view for a time, only to come into its own again during the winter months. 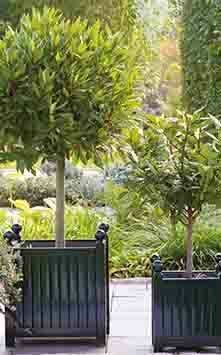 With its clear, elegant lines, it not only compensates the loss of leaves and flowers. 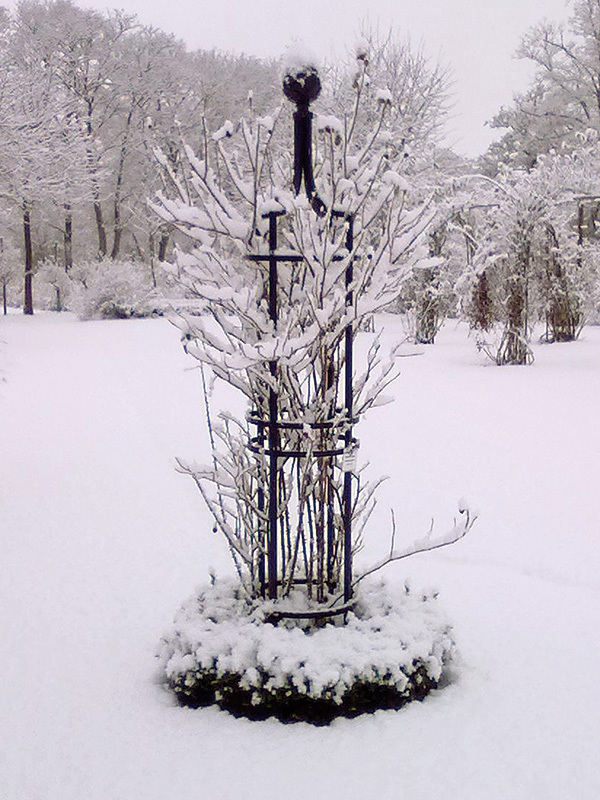 Topped with the traditional Classic Garden Elements emblem – the Etruscan pinecone – it becomes an ornament of almost poetic beauty, especially against the background of a garden powdered in frost or snow. 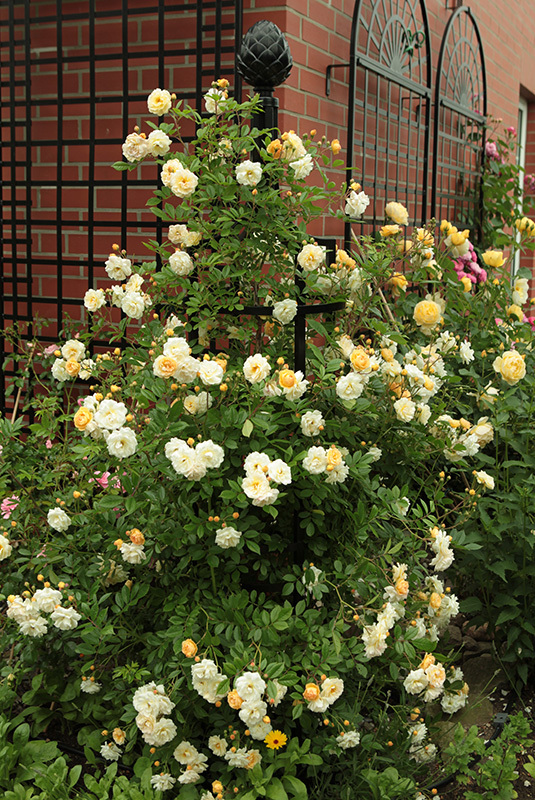 Climbing roses tend to shoot to a great height, only to become bare lower down. 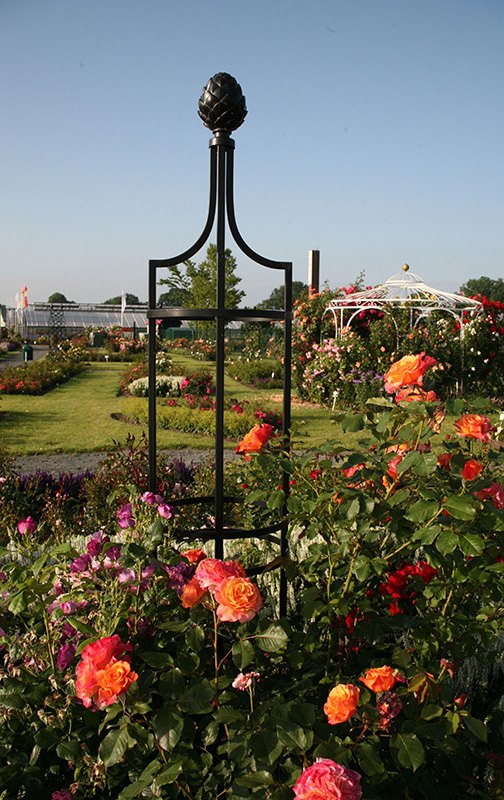 To ensure the growth of sideshoots at the base the obelisk, train the canes to grow around it in a spiral and to tie them in position. 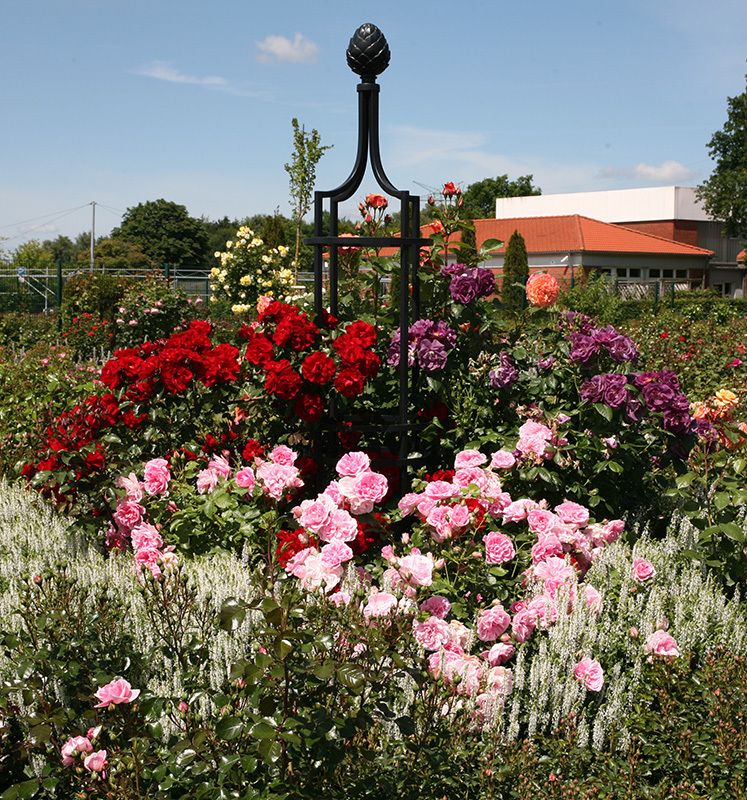 You will be rewarded by abundant flowering from the ground up. 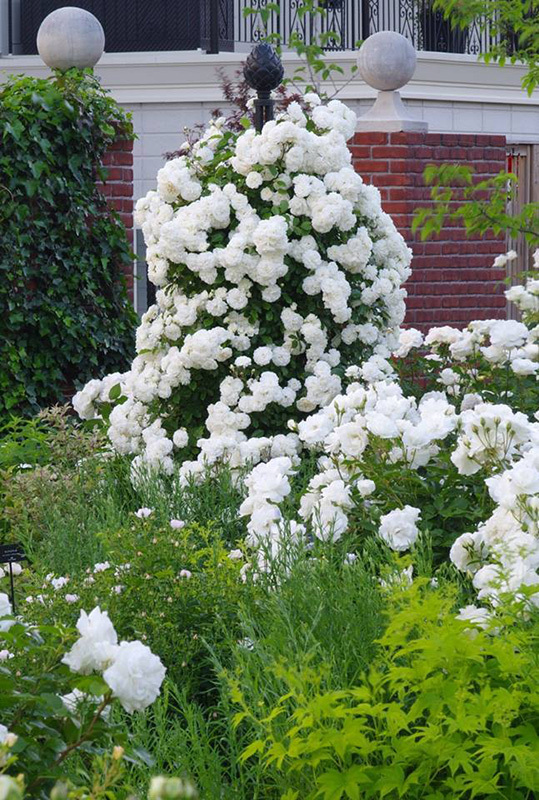 This also applies to shrub roses, which will be grateful for the support that prevents them becoming straggly and unkempt. 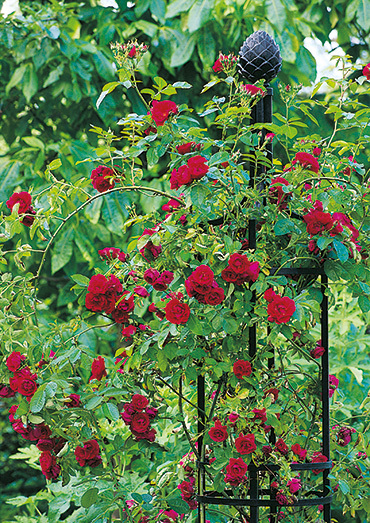 Bear in mind that it is much easier to train, prune or remove roses if they are secured only at the outer side of a frame. 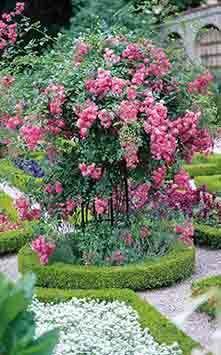 Healthy, vigorous plants will cover the support frame amply, but they should not be so luxuriant that they smother it completely. 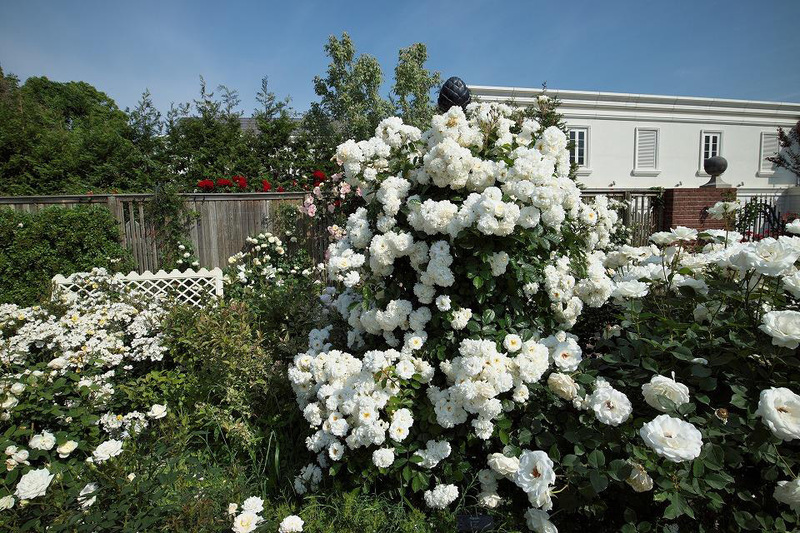 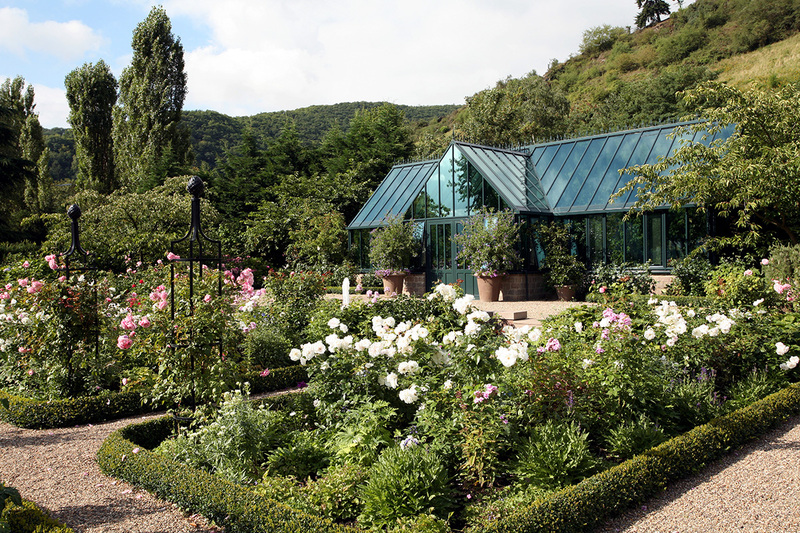 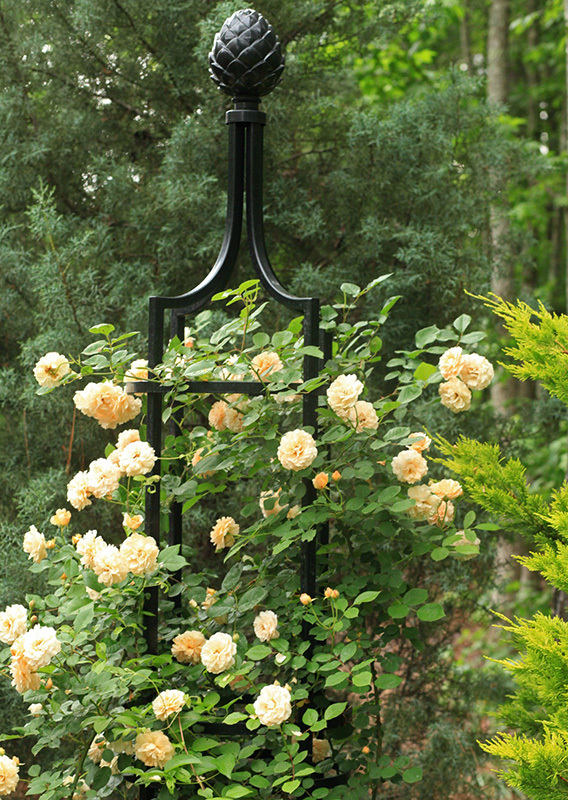 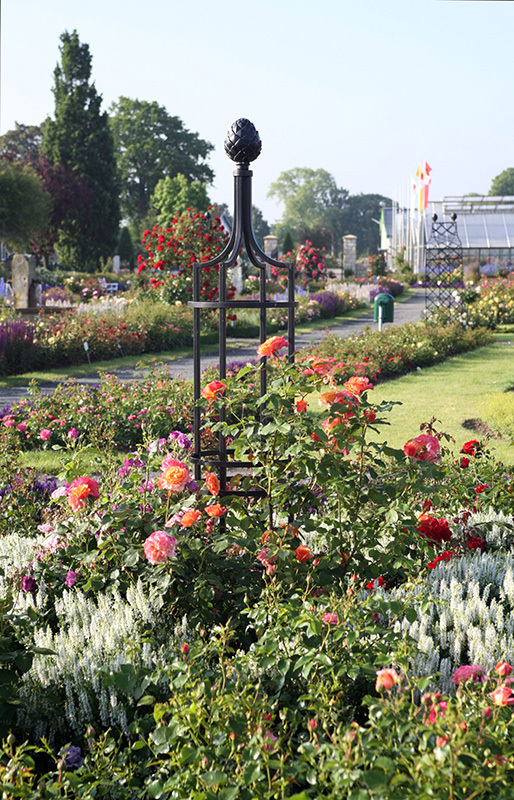 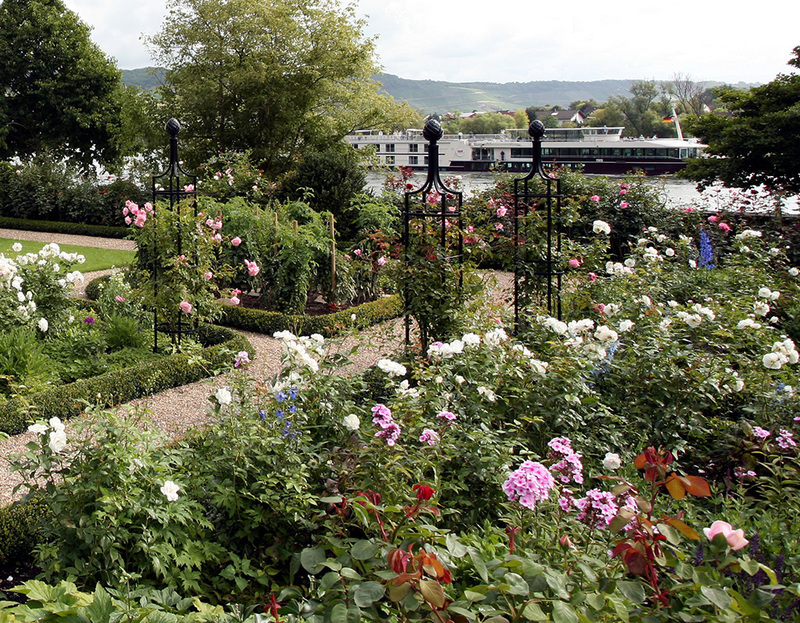 Repeat-flowering roses growing to a height of up to 2.5 metres are ideal for Obelisk I. 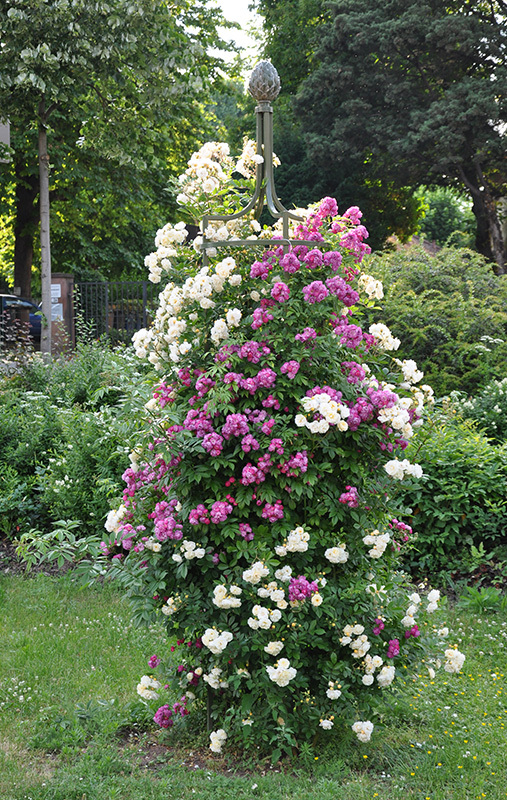 For taller climbers, it is better to choose the larger park version of the obelisk. 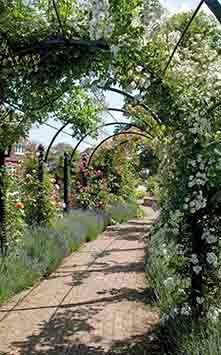 Should you prefer to use once-blooming roses, late-blooming clematis is the perfect accompaniment which enables you to prolong the flowering season.